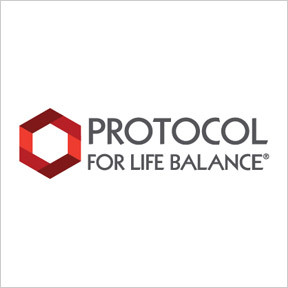 Protocol For Life Balance® formulates and manufactures an extensive line of highly regarded, science-based products designed to provide natural health solutions. Their extensive line of premium products is manufactured in full compliance with FDA current Good Manufacturing Practice (cGMP) regulations, as well as those of the Natural Products Association (NPA). Additionally, their manufacturing and distribution facility is certified for organic manufacturing by Quality Assurance International (QAI). Their well-researched raw materials must meet the highest quality standards. Ingredients and finished products are tested in-house for identity, purity, potency, composition, and bioavailability. Protocol For Life Balance® continually monitors the latest scientific advances in nutrition and natural ingredients, and incorporates this research into their product formulations, assuring products that are current, efficacious and research-based. As a foundation for formulating and validating the bioavailability of their products, Protocol For Life Balance® utilizes NATUROKINETICS®, a compilation of scientific data that details the body’s absorption, distribution, metabolism, and elimination of nutrients and non-drug, non-synthetic natural substances. Products incorporate clinically-verified dosages, and each finished product must pass a rigorous internal review to ensure relevance, efficacy, quality, and label claims. Adrenal Cortisol Support™: This botanical and nutritional formulation naturally supports a normal adrenal response. Adrenal Cortisol Support features Relora®, a proprietary herbal blend clinically demonstrated to help manage nervous appetite, support healthy cortisol levels, and temporarily relieve perceived daily stress. Gluten, dairy, egg, and nut free, vegan formulation. D-Mannose 500 mg: This rapidly excreted simple sugar helps to support a healthy urinary tract by promoting proper elimination of foreign particles and maintaining bladder and mucosal lining health. Gluten, wheat, soy, dairy, egg, and yeast free, Non-GMO vegan formulation. Glucosamine & Chondroitin with MSM: Designed to promote joint comfort and support joint structure and mobility, this product blends three of the best-known nutrients for support of healthy joints. Gluten, dairy and soy free, Non-GMO formulation. L-Theanine 200 mg: This amino acid is associated with a relaxed but alert state and may promote healthy cognitive function, as well as reduced stress, without causing drowsiness. Gluten, soy, and dairy free, Non-GMO vegan formulation. MCT Oil: Medium chain triglycerides derived from sustainably sourced coconut/palm kernel oil require little enzymatic breakdown and are readily available to be used by the liver for energy production without the requirement of insulin and with no effect on blood sugar. Designed to aid weight management and provide metabolic support, this product is gluten, soy, dairy, and yeast free, Non-GMO, and vegan.